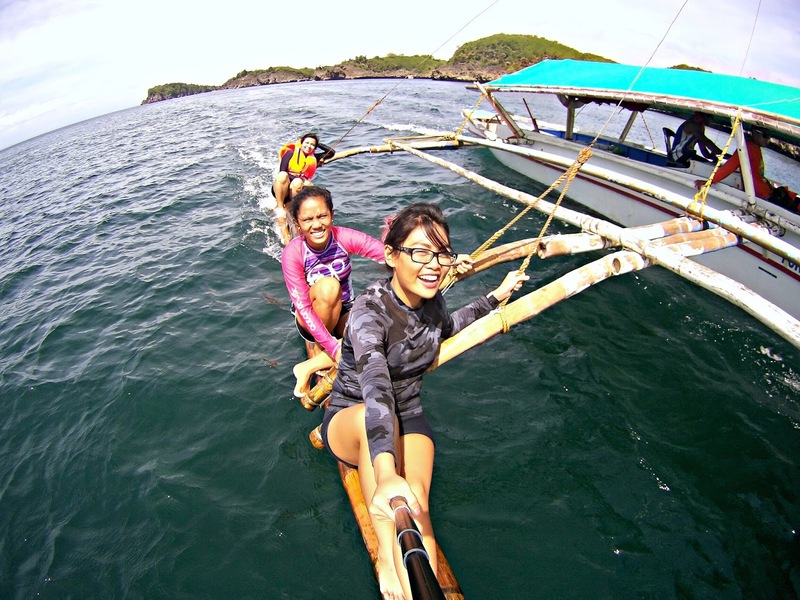 Guimaras: Mangoes and Beaches? What Else Can You Ask For?! Oh yes, you read the title right. 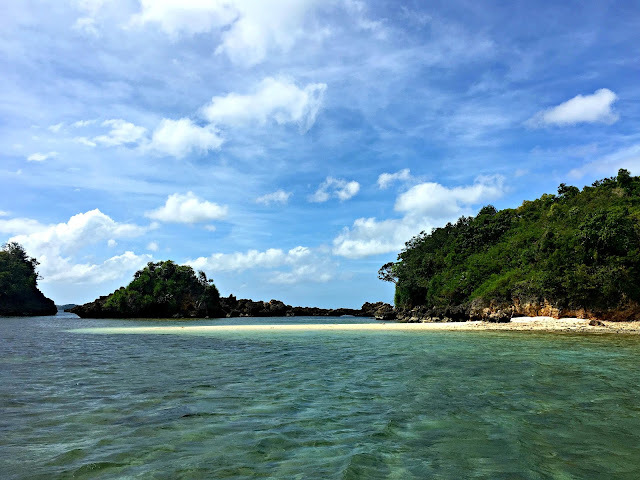 Contrary to popular belief, Guimaras is not only famous for its sweet world class mangoes, some of us don't know this but this amazing province also has amazing beaches to offer! And I only knew it prior to planning this trip. 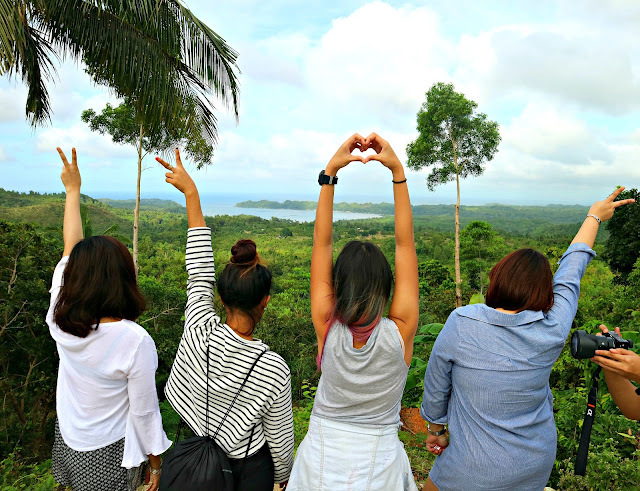 If you don't know yet, we had a 4 day trip to Bacolod, Iloilo, and Guimaras. 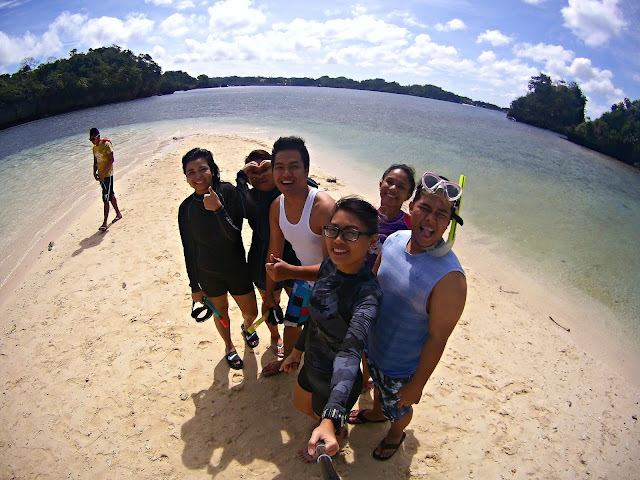 Guimaras being our 3rd stop before we go back to Bacolod for our flight back to Manila. To us Filipinos, we probably know Guimaras as our top exporter of mangoes because of its sweet and pure taste. And while that is something to be proud of, what I can attest to is that this island province should also be famous for its beaches. Before anything else, let's have an expectation setting. Yes. 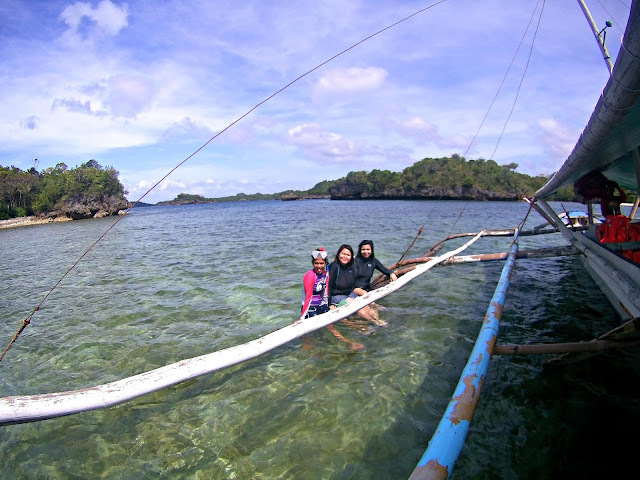 Guimaras has amazing beaches to offer but to make you guys imagine, there's almost few to no nightlife in the beachfront establishments. And if you value relaxation more than booze and partying all night, then you would most certainly enjoy Guimaras. 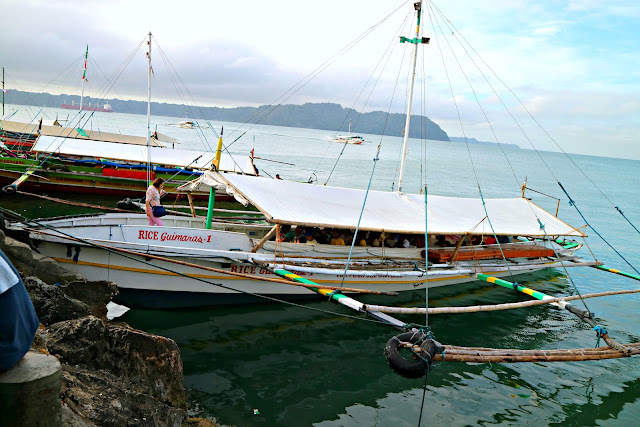 We depart Iloilo early in the morning to go and explore Guimaras. Travel time is just 15 minutes and the jump off is Ortiz Wharf where the boat departs every 15 minutes starting from 5:30 AM to 7:30 PM daily. 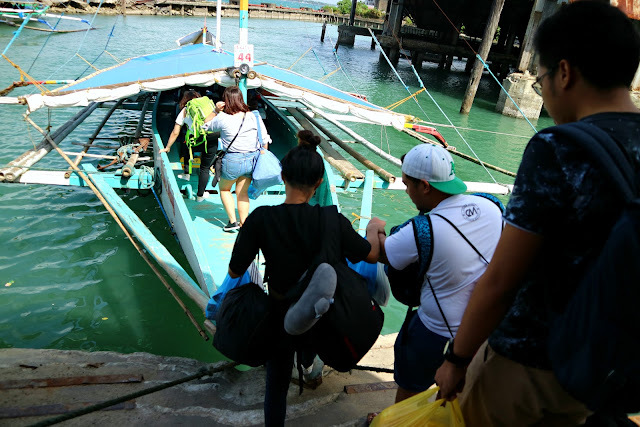 I guess this is really the main transportation of the locals going to and fro Iloilo and Guimaras. I also saw students using this mode of transportation. I'm just not used to seeing this stuff because I'm so fond to land travels in Manila. Jeeps, LRT, buses, you name it. Fare cost is P14. Yup, that cheap. We can assume that Guimaras is just really near to Iloilo. Weather is very cooperative, sunny and cloudy but a little bit gloomy in the morning. Upon arriving in Guimaras, we managed to rent a multi cab good for the 6 of us that will transport us to our booked hotel room. We paid P2000 for a whole day rent which we will also be using in touring the city. 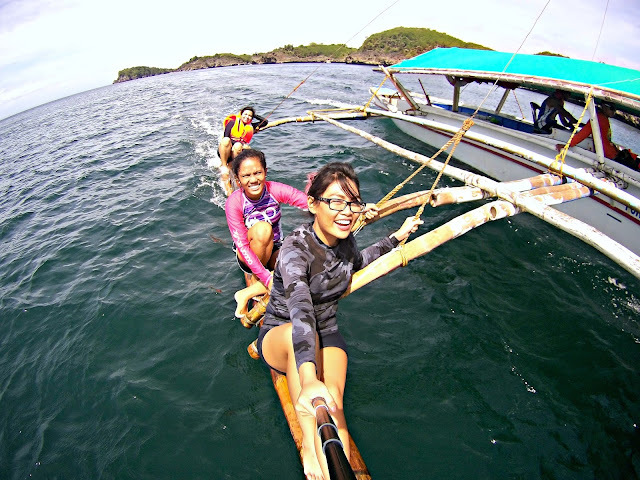 Plan is to have the island hopping the next day because we thought we couldn't do all the activities in one day. 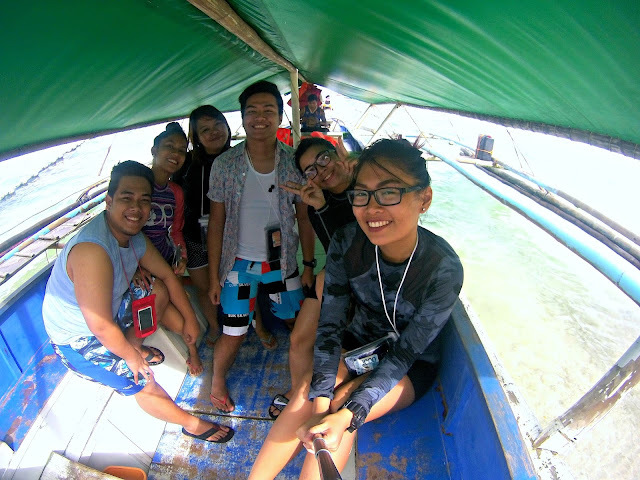 But nah, we managed to push through the island hopping the same day as our land tour around Guimaras. Win win! 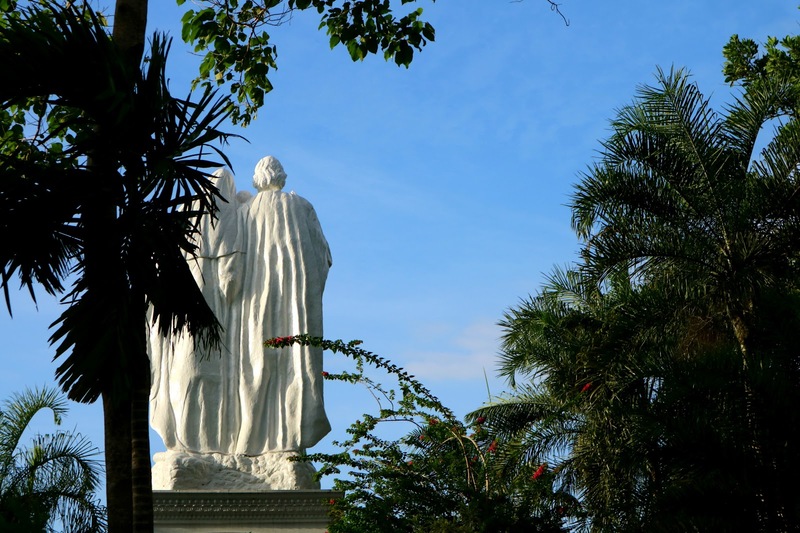 The only thing we will only do the next day is to prepare ourselves for a long travel time to Bacolod and then Manila. So our first stop? The Igang Marine Station of SEAFDEC (Southeast Asian Fisheries Development Center). 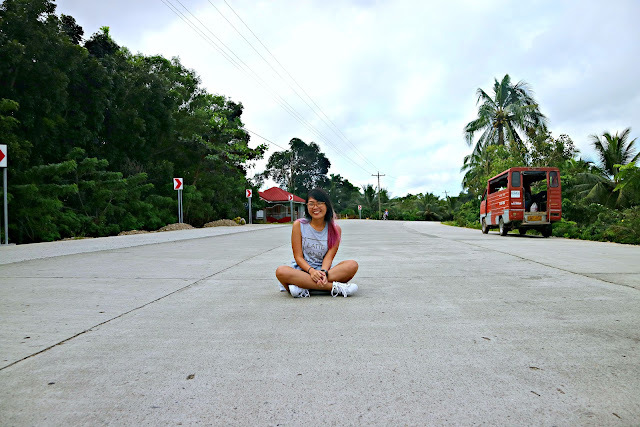 To tell you the truth, I am not expecting a lot about Guimaras. I mean it could just be like any other beach. We can have island hopping but are the islands and the beaches really worth it? That's what I thought at first. But while we're approaching SEAFDEC, right there and then, there is something really worth visiting. We stumble across a large group of people when we dock so the guide took us all in one group and started educating us about the place and their mission. 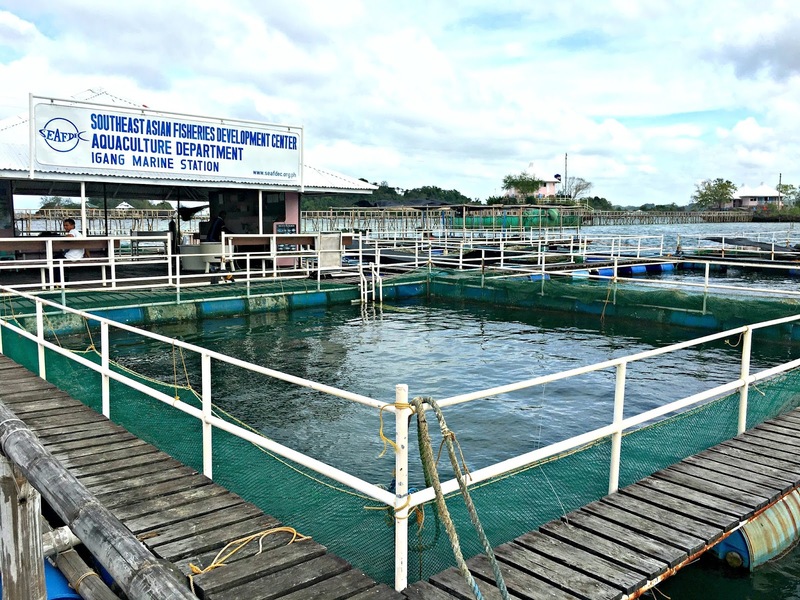 SEAFDEC is the breeding ground of different fishes. 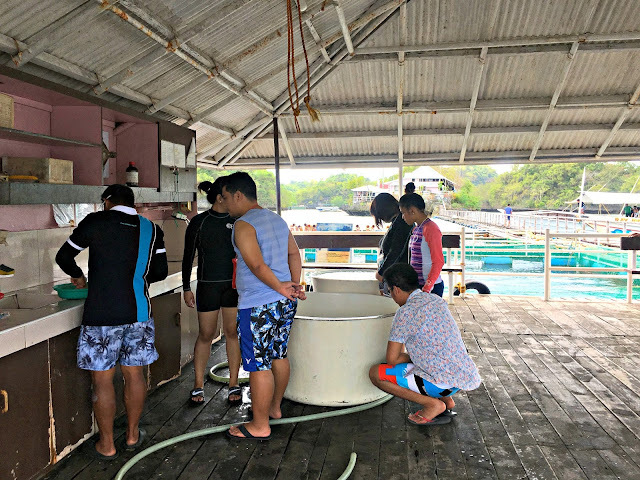 These marine creatures are then used for researches and are clustered into different fish pens to avoid unwanted creatures in that might eat the fishes. It was fun playing with the fishes and feeding them as they try to catch the food. There are a lot of species to be seen but what I liked the most was the turtles! I may be in my early twenties but it was actually my first time to see a large turtle swimming around! It's as if I was on a field trip. LOL! Next stop was the Ave Maria Islet. This is where the guide said we can have snorkeling. 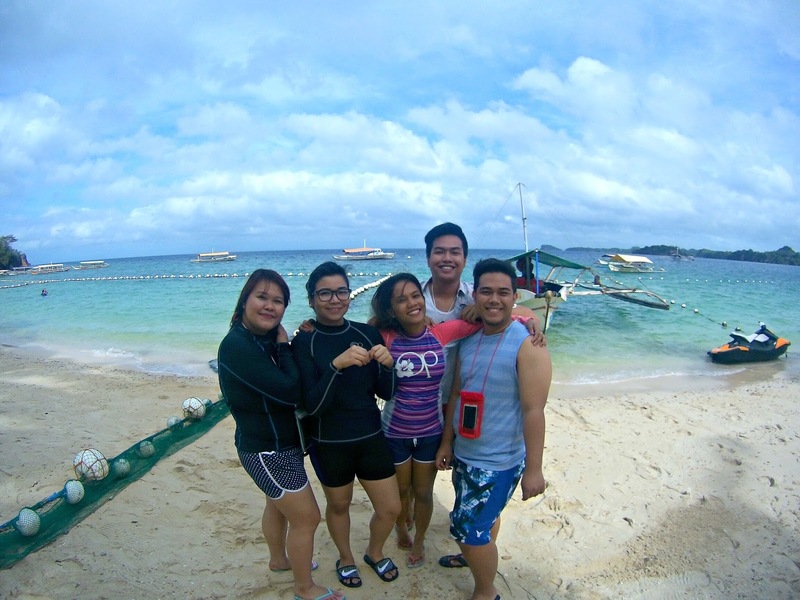 My friends snorkeled while I enjoyed the beach and the water. I'm not expecting to see a big ecosystem down below so I just took photos and swam. 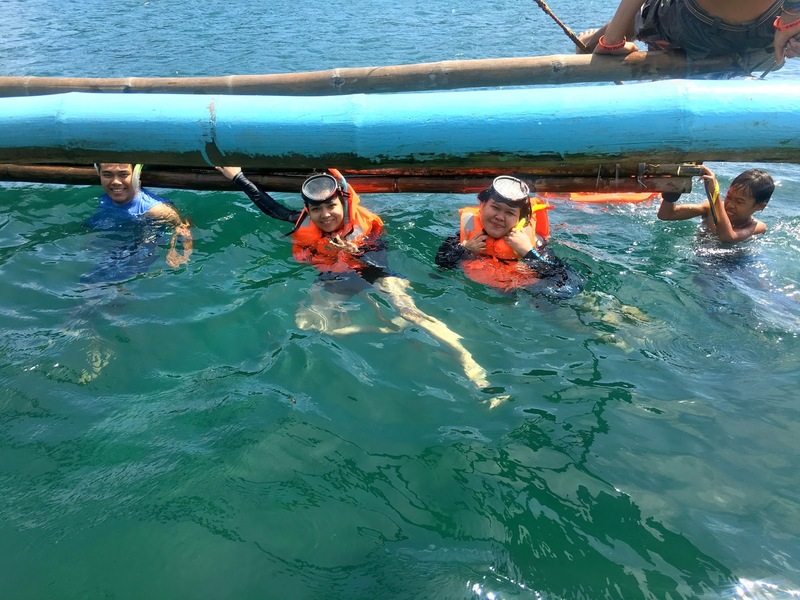 And also, after being stung by something while we're snorkeling in Coron, it's hard for me to have an encounter with fishes without proper gears. I just learned how important water shoes are! I don't know if they saw something but the surroundings of the beach are rocky. I had a hard time going back to the boat because of the rocks and the fear I might step on something poisonous or deadly. As for the beach alone, well.. it was nice. It was really little. It could pass off as sandbar if it wouldn't for the small rock formation beside it. Next stop was the Baras Cave. We didn't really go inside but it was just interesting because it's in the middle of the ocean. And for a change, it was cold on the surface. We also went to see to Nagtago Beach from afar. There's actually a lot of islands to see while island hopping but we didn't go to see the others. Guess we just wanted some time with the sea. One place I want to see but we didn't go to was the turtle sanctuary. I saw a lot of photos online and it was really interesting to see up close! But well.. maybe next time? 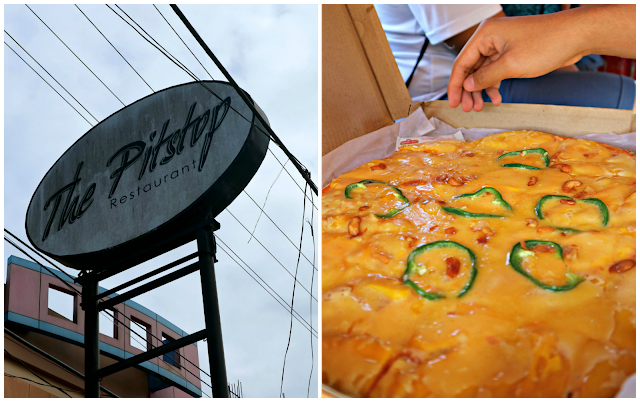 But before everything else.. we had to try the famous Mango Pizza at Pitstop! Our hired multi cab for the day took us here to have lunch and to also try the mango pizza together with some other local dishes. But lo and behold, there are no mangoes available! Like really? Mango capital and yet there are no mangoes available? How can this be! Guess our visit was not yet the season of sweet mangoes. So for lunch, some of us ordered some other types of pizza, burgers, and rice meal. What I liked was the Adobo with mangoes. I thought it was a weird combination but it was actually good! We can't leave a place without trying something that's really about that place and so we cannot leave Guimaras without ever tasting that mango pizza. We tried our luck and got their number because they said they deliver and we can also advance order the next day, but there's no guarantee. 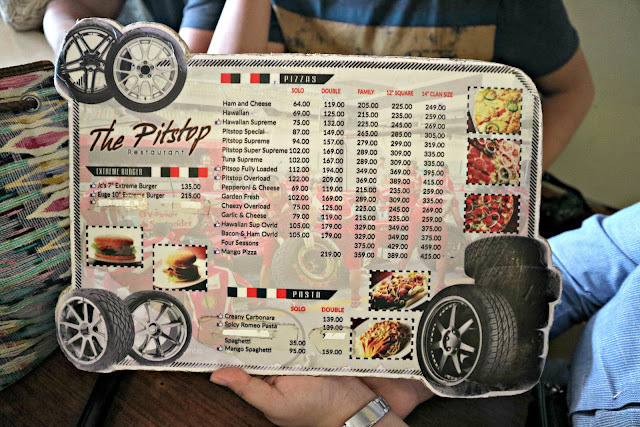 Pitstop's service, on the other hand, is very slow. We're hangry and starving already before the actual food was delivered to our tables. We also had to follow up several times. Right after filling our tummies, the tour continues! 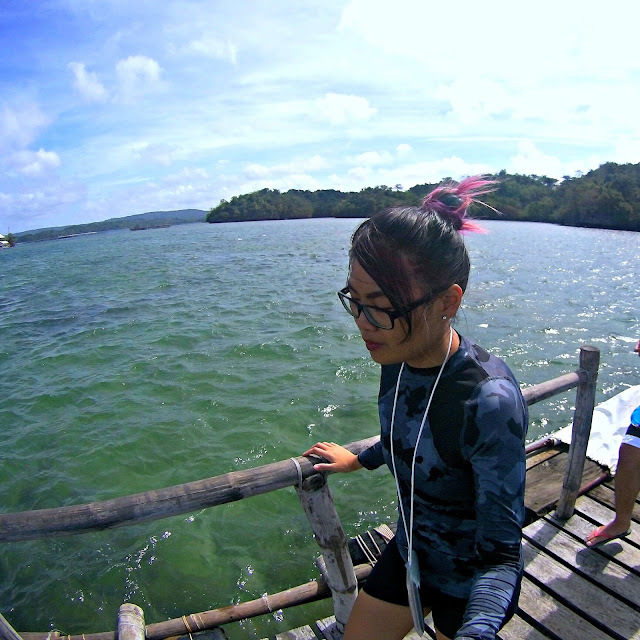 If you plan on visiting Guimaras, aside from island hopping. There are actually a lot of places you can visit and discover here. But just like any other travels we have, we can't possibly see them all especially that I think it was almost 3 PM and we haven't started with the city tour yet. We managed to visit the Guimaras sign/lettering (I don't know what it's called! LOL), Holy Family Hills, as well as the San Lorenzo Windmills which if you would ask me has a Batanes vibe. Not that I already visited Batanes but the pictures I always see online is somehow close to what I saw there. 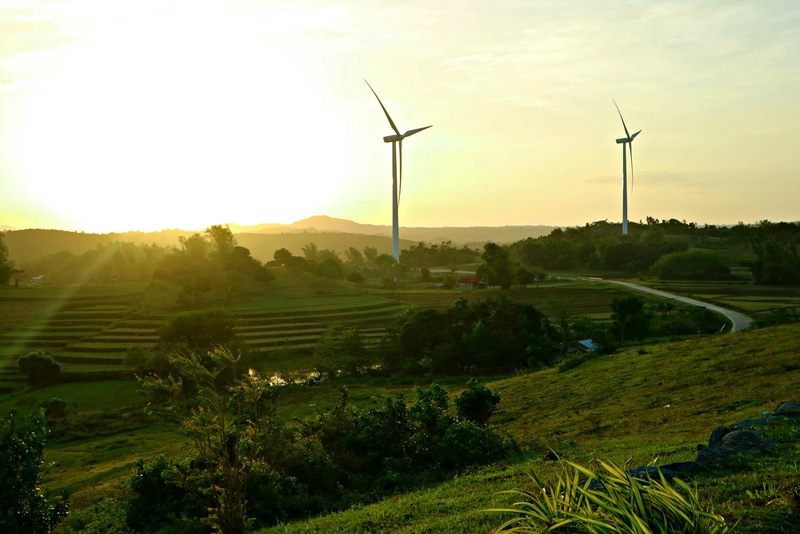 And to be honest, I thought Ilocos is the only province that has windmills! Glad to know there are a lot more out there! We watched the sunset before going back to the resort. 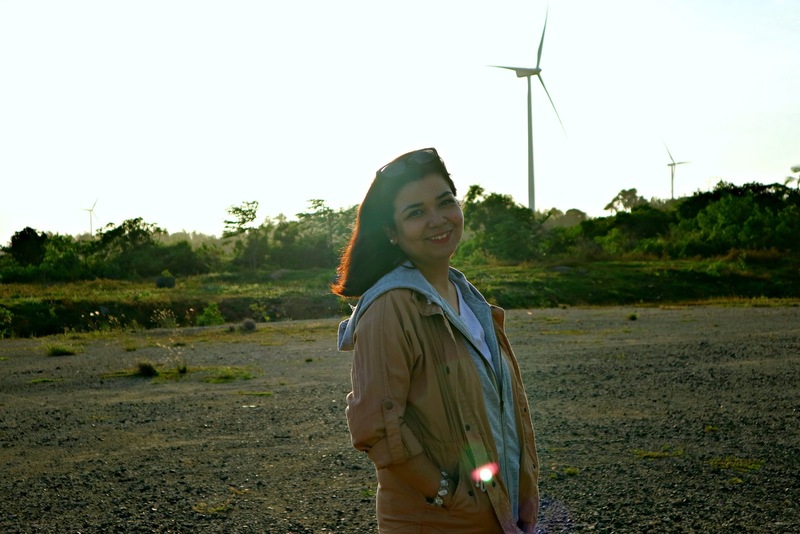 It was a long drive but I swear, the windmills are a must see! I can imagine it as a setting of a movie because it is somehow has a romantic look. We cap off the night by playing cards, listening to music, and some booze. Our second day in Guimaras is actually our last day for this trip. So come afternoon, we will be departing Bacolod. 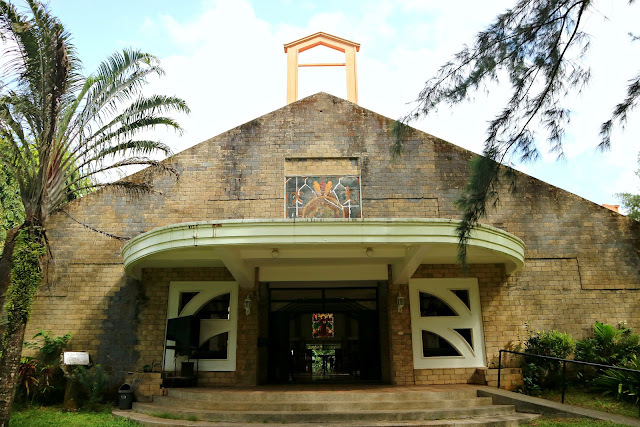 Before riding a boat back to Iloilo, our driver managed to bring us to Trappist monastery and let us buy some treats. 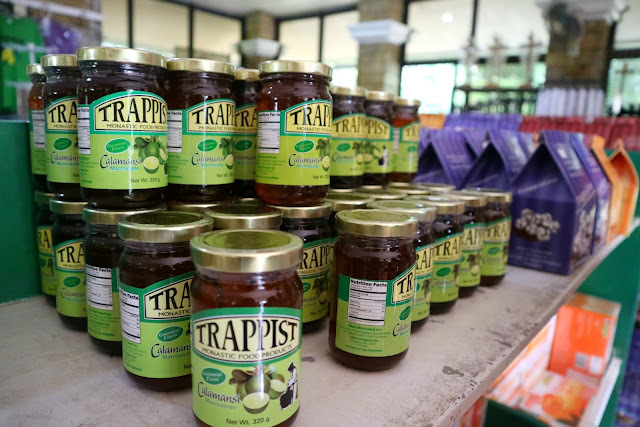 Trappist monastery is the place to be for pasalubong because in here, they sell food products that are made with mangoes. To me, they are also the Good Shepherd counterpart of Baguio. 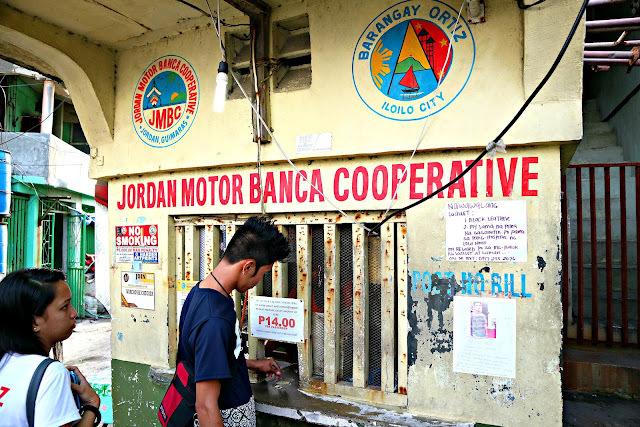 They say the mango jam here is the bomb but it was sold out when we got there, remember... it's not yet the season of mangoes during our visit. We also managed to try Pitstop's mango pizza. We called their branch to ask if they can make one and we'll just pick it up on the way to Jordan Wharf. And the verdict? So-so. I can't explain the taste but it's not that good yet it's not that bad either. Maybe the mangoes aren't really sweet yet or it's just that it's not really something good as I pictured it to be. But still, at least we got to try it and not ever wonder how it tastes. 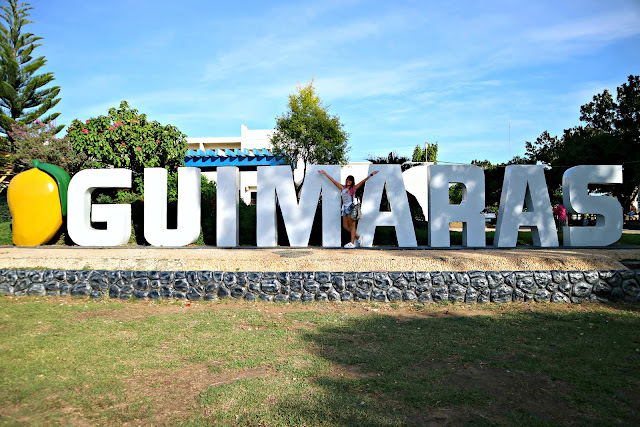 I never knew I will be able to visit Guimaras anytime soon. I mean hello... I don't even know it's just near Iloilo in the first place. So that's one province off on my list. Love your photos! Looks like you're having a lot of fun :-) I would love to visit this place, it's actually my first time hearing about it. Plus mangoes are one of my favorite fruits everrrrrr! 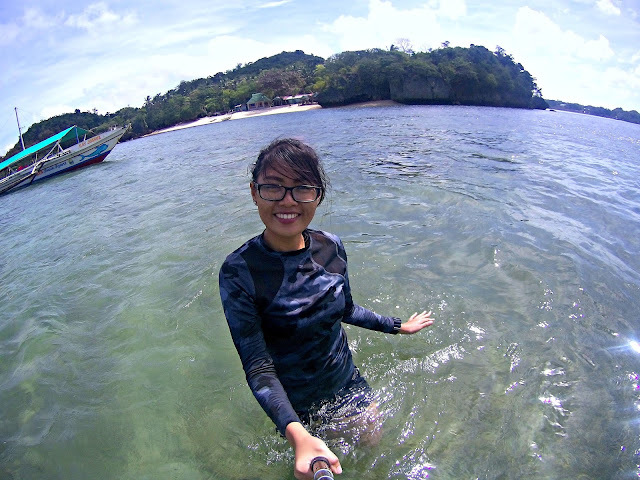 I like mangoes so ive been dreaming of visiting guimaras. It is thrilling to know guimaras is not only about mangoes. Beach caves windmills and lovely sunsets sound very interesting as well. Thanks for sharing your experience! Hi Maaya! I'm from Manila but I own a small farm in San Lorenzo. I was stricken by the island's raw natural beauty too. Amongst those in blogs I've visited, your photos capture the island's appeal the best. 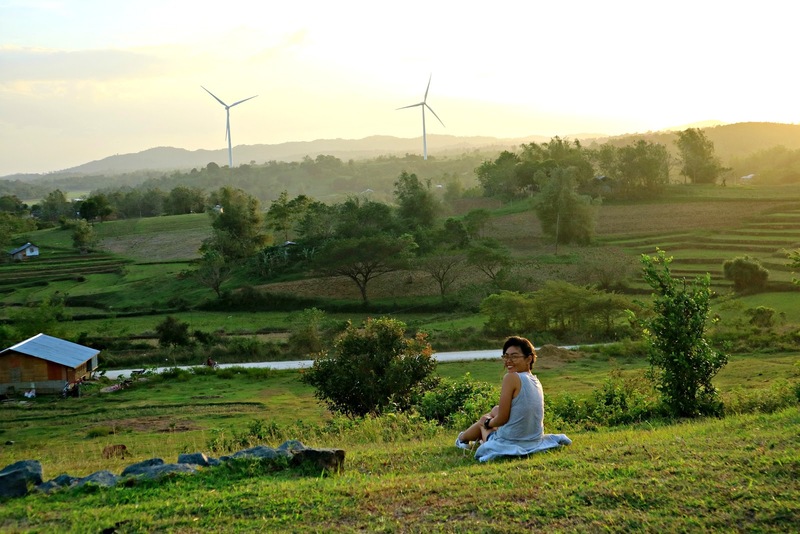 May I use your pictures of the windmills in promoting my farm?